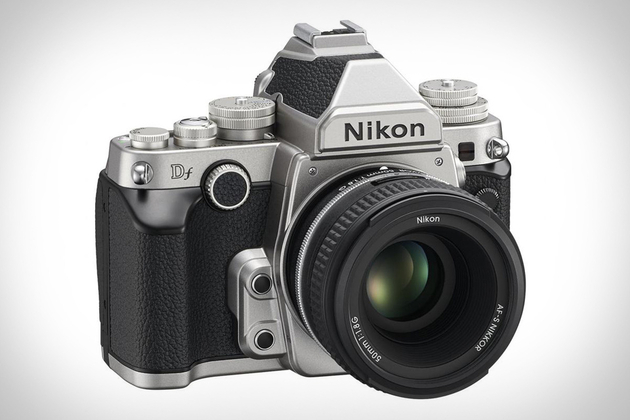 The Nikon Df Camera ($3,000) is deeply in touch with its roots, bringing us a camera that’s aesthetically inspired by classic 35mm film cameras, but packed with professionally-focused digital tech. Wrapped in leather and chrome and covered in dials and knobs galore, this full-frame camera features a 16.2 megapixel FX-format CMOS sensor and Nikon’s Expeed 3 processor. It ships with a 50mm f/1.8 lens, and is priced for professional photographers who want a slightly smaller body that doesn’t sacrifice features (save, of course, its hard-to-ignore lack of video capability).